Jonathan Papelbon entered the visiting clubhouse at Great American Ballpark in Cincinnati yesterday afternoon just as news broke about the tragedy near the finish line of the Boston Marathon. Televisions quickly were turned to news channels as players watched together in shock of the devastation along Boylston Street in the Copley Square section of Boston. "I lived right there," Papelbon said, referring to the top floor of a building right where the blast occurred. "It's all ruined. Families are ruined, all for what?" 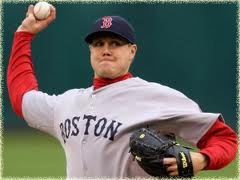 Papelbon spent seven seasons with the Boston Red Sox and called Boylston and Fairfield Streets home for much of that time. "It's sad man, it really is," Papelbon said. The two blasts occurred just before 3 p.m. on Monday in an area full of spectators. According to law officials, three people are dead and more than 170 are injured. Monday was Patriot's Day in Boston, the city's most famous civic holiday. The day is a celebration of the American uprising against the British in April of 1775. "It's a day that celebrates the free and fiercely independent spirit that this great American city of Boston has reflected from the earliest days of our nation," President Obama said Monday in a press conference following the explosions. Papelbon won a World Series with the Red Sox in 2007 and marched down Boylston as part of the parade route. Now, he never will look at the area the same way. "Hopefully the city can rally and make things better, but it's going to be tough," Papelbon said. "It's hard to really put into words."